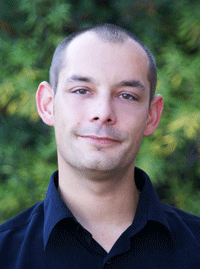 Sten ROI is a highly-trained and experienced professional instructor specialising in teaching French and Italian. His company, ILIFLE Sten ROI (Institut Linguistique Italien/Français Langue Etrangère), was founded in 2009 and is fully certified by the French Government. ILIFLE Sten ROI offers a complete range of language instruction through private or group sessions. Courses can be tailored to beginner, intermediate and/or advanced students and course work can be done at home, at your place of business or at other mutually convenient locations. In some cases, instruction can be even provided remotely via the Internet. ILIFLE Sten ROI also offers professional translation services between French, Italian and English for business. ILIFLE Sten ROI practices learner-focused education for people of all ages – i.e. putting the learner in the driving seat. Instruction is based on where the learner wants to go. This could be classical instruction with grammar as the core, or a more fluid approach stressing verbal communication allowing the student to immediately utilize the language in everyday situations. Or, even a mix of the two. Instruction is always action-based and will require the active and on-going participation of the student. ONLY THE CHOSEN LANGUAGE WILL BE SPOKEN! Course work will focus on the skills of the CEFR (Common European Framework of Reference for Languages): listening/understanding, oral communications, written expression and reading comprehension. The study of grammar and MOST IMPORTANTLY phonetics (pronunciation) are integrated into the courses in a clear and entertaining manner at the level of the learner. For those students that require it, ILIFLE Sten ROI offers effective preparation for DELF (Diplôme d'études en langue française) and the TCF (Test de Connaissance du français) and TEF (Test d'Evaluation de français). Sten ROI a member of the DELF panel and is an examiner for the TCF.